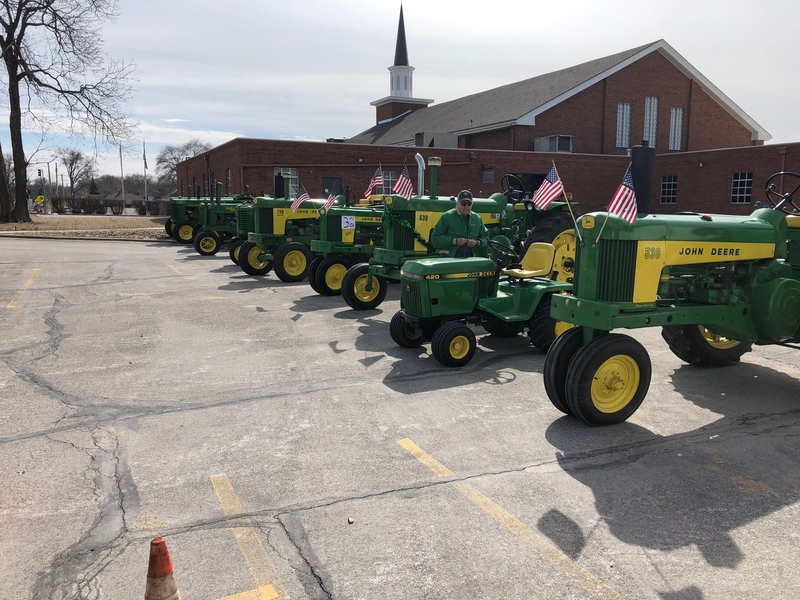 The Shawnee Saint Patrick’s Parade was held on March 10th starting at 1 PM. 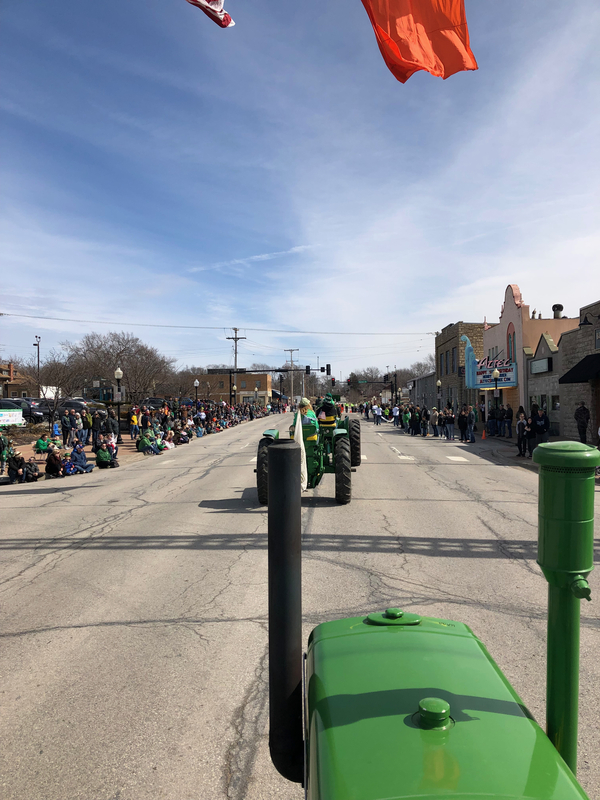 It was a bit blustery on the ride to the parade, but there was plenty of smiles and green along the route. 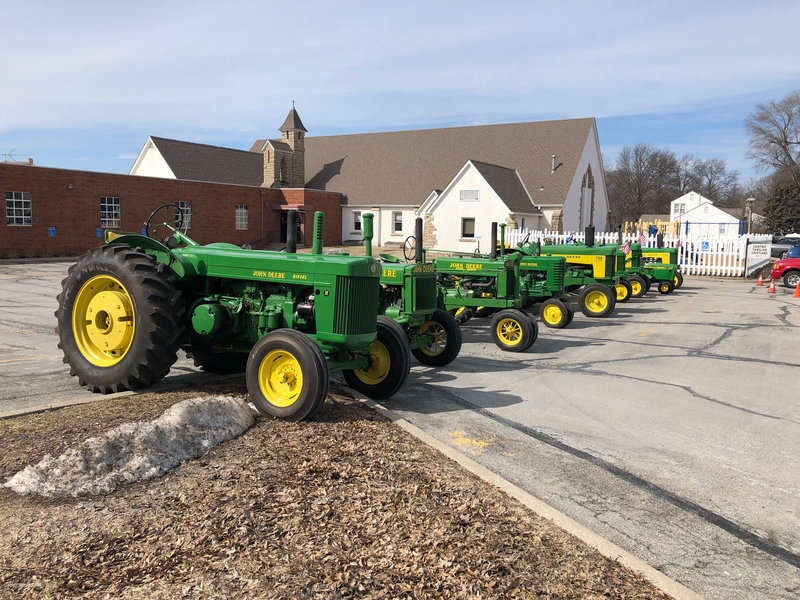 There were sever-al tractors, drivers, and riders to brave the chilly day. 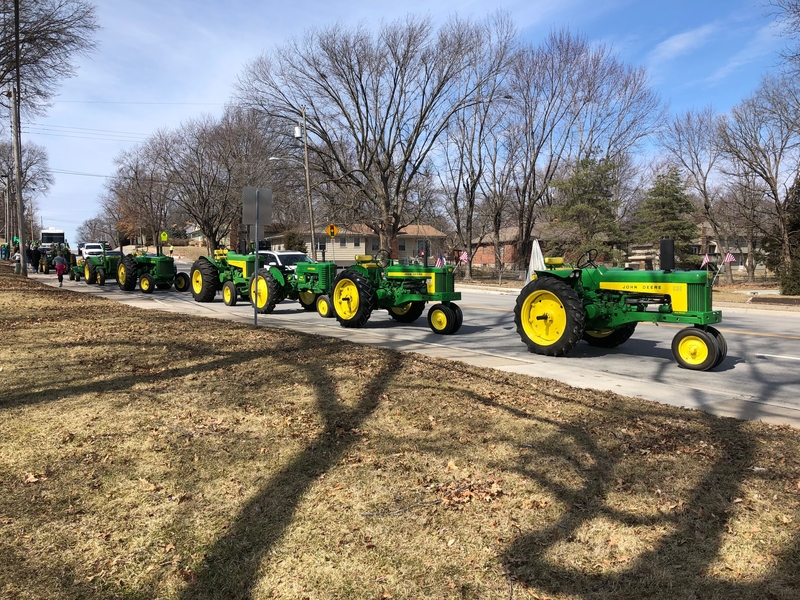 Leading the parade was Don Hrabik & Dalamar Read - 58 JD 520, Lori & Farrah Meyer - 59 530, Jon Pirie - 49 JD MT, Dusty & Brandon Meyer - 60 JD 730D, Joe Meyer - 37 D, Mike Ramsey - 36 JD A, Chris Meyer - 51 JD R, Marvin Halvorsen - 83 JD 420 LGT, After the parade several of us parked our tractor across from the Hero’s Pull for a display. 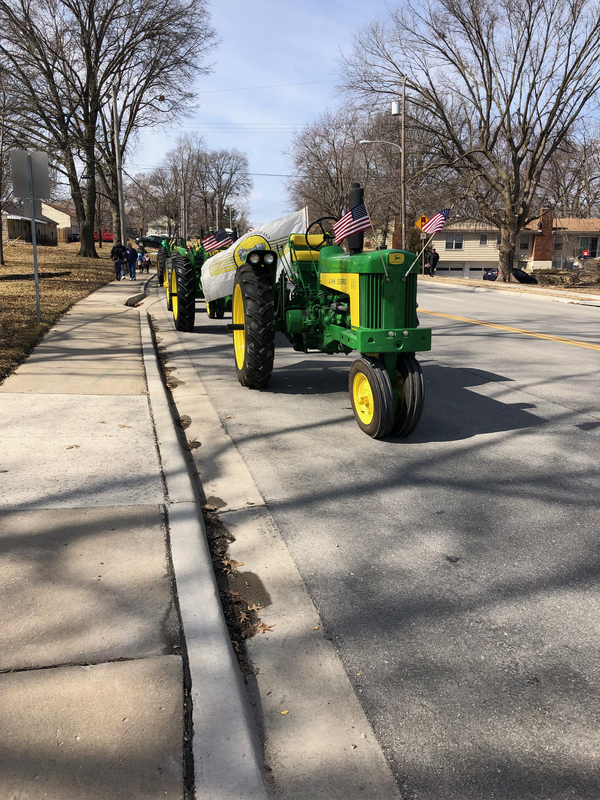 Those of us that stayed for the Hero’s Pull got to watch grown men and women pull a 24,000 lb. Bear Cat and a 32,000 lb. Fire Truck to raise money and awareness for Special Olympics Kansas. The Club was a sponsor of the Heroes Pull and the Club’s name is on the event t-shirt. Put it on your calendar for next year.